Around the world, Canadians are renowned for having a distinct take on fun. We’re ambassadors of amusement, emissaries of enjoyment, dignitaries of delight, yet we could still be having more of it. Kraft Dinner has the solution. After a look into the state of fun in Canada, KD has created a plan to help Canadians let their fun out without the hassle of money. Three extraordinary pop-up shops, and a series of roving kiosks will turn fun into a currency, only spendable with KD. How much fun are Canadians having? The KD Fun Index found out by asking how many of them are riding bikes, playing video games, hanging out with pals, seeing films, reading books, travelling, and making time for other adventures. The KD Fun Index findings gives KD the inspiration it needs to start its fun mission. The KD Fun Shop: the only place in Canada where fun can be used like cash for real-world stuff. A first-of-its-kind pop-up shop held for three days in Toronto, Montreal, and Vancouver, it will be stocked with never-before-seen KD products. Money will be no good here, all products are only available for the price of fun. That really means, keep your wallet at home and see what juggling boxes of KD or making an imaginary pot of KD will get you in store. If people in Vancouver can’t make it down to The KD Fun Shop KD will bring the fun to them. 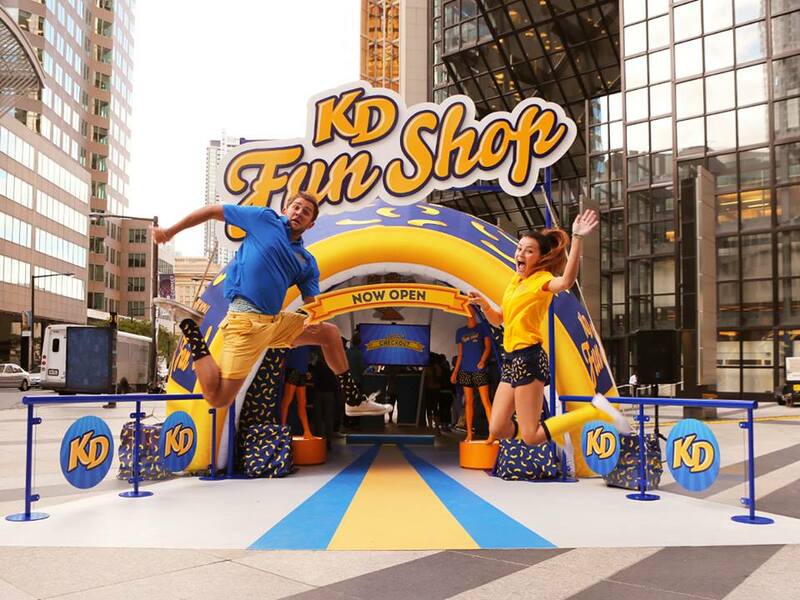 The KD Fun Kiosks will be roving through each city centre surprising shoppers outside traditionally “unfun” places like transit stops, and dry cleaners injecting some needed fun in their day. The KD Fun Kiosks will let people spend their fun for the actual goods and services they were about to buy. “Canadians are ready to have more fun,” added Eyre. “We’re going to give it to them.” Join the fun conversation on Twitter with the hashtag #letyourfunout.